Margarita Troetsch is a Panamanian pianist, chamber musician, teacher and music promoter. She studied at the National School of Music in Panamá City under the Panamanian pianist Carlos Dutari and the Russian pianist, Alexander Ksendowski. She went to the United States of America to study piano performance and the art of teaching the piano. Margarita specialized in the Suzuki Method for the Piano. She studied under Sue Vásquez and met Dr. Schinichi Suzuki and Mme. Haruko Kataoka during different conferences. She was deeply influenced by Carol Bigler and Valery Lloyd Watts, during the Summer Suzuki Institutes in Kingston, Canada. She also pursued her piano studies under Maria Luisa Faini in Rochester, N.Y, and continued under Jaime Ingram at the University of Panamá. She is author of “La Hora de La Música”, a book in six volumes to teach music in elementary and high schools. 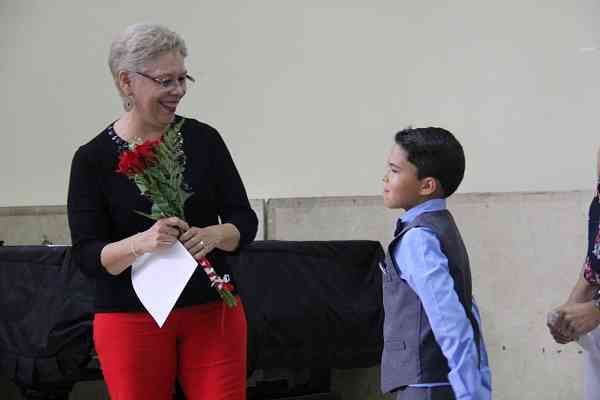 She is also the Secretary of the Panama Pianists Association and Member of the Board and Director of Communication of the Panama International Piano Competition. She teaches piano at her own studio. She is married to Panamanian pianist, Luis Troetsch and have three children and a grandchild on the way.